Our staff is highly trained and have years of experience working with clients in all stages of life and physical condition. We want you to move through life with the body you HAVE, learning skills that create the body you WANT. Every Body Pilates is the leading personalized Pilates coaching company for women and men that help clients develop the skills to get their life back after injury, surgery or the stress of modern life. We are unique because we establish workouts that bolster healthy movement patterns, which will be taken into all parts of daily life. 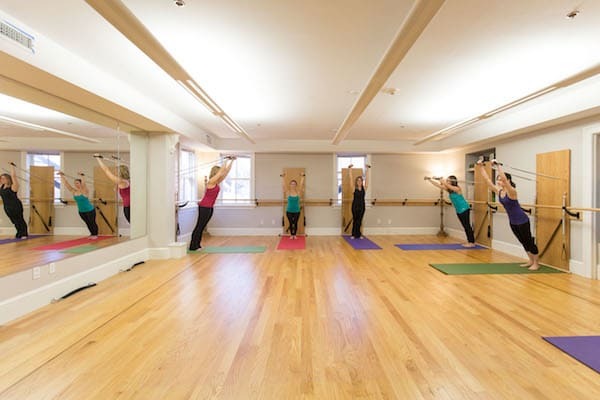 We are the only wellness center that utilizes the heart of Classical Pilates to provide personalized exercise, home routines, and skill-based movement to empower students well beyond the walls of the studio. At Every Body Pilates we understand that Every Body is different. Our teachers will meet you where you are and help tailor our protocols to fit your needs. Overall plans will include a combination of private lessons, directed workouts, semi-private lessons, group classes and at home practice geared towards developing a consistent practice. The Primary principle of Pilates is uniform development of your body. This means Pilates encourages the body to be as flexible as it is strong, as balanced as it is stable, as coordinated as it is integrated, as mentally facile as it is sharp. There is an organic progression to mastery of these very skills built into every session with us, from your first Personalized Private session to your Self-Directed Workout supervised by one of our highly skilled teachers. Take The First Step Today With Our Better Health Plan In Belmont! Our initial assessment is a one-on-one 55-minute appointment. You and your instructor will go over your physical history, answer any questions you may have, and learn about the foundation of our approach. 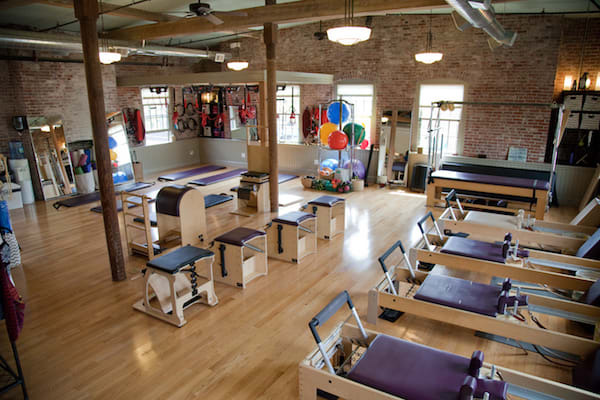 Your instructor will then take you through the EBP Standard Movement Screen using the Fundamentals of the Pilates Method. During your session your teacher will establish relevant homework to get you started right away. Depending on your personal goals you will work with your instructor to establish a plan of action. How often do you recommend doing Pilates? The more often you do it, the steeper the learning curve and the more immediate your results. How often depends entirely on your goals or physical condition. 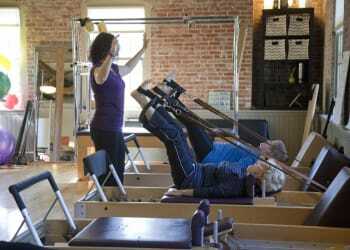 If you wish to integrate Pilates into your already established routines, 2-3 days per week is best. Or if you wish to use Pilates as your primary form of exercise, 3-6 days per week is best. No one walks into a robust Pilates practice. It has to grow organically through consistent practice. What types of lessons should I begin with? Each client has individual needs, this is why our protocols are designed to be tailored to the individual. 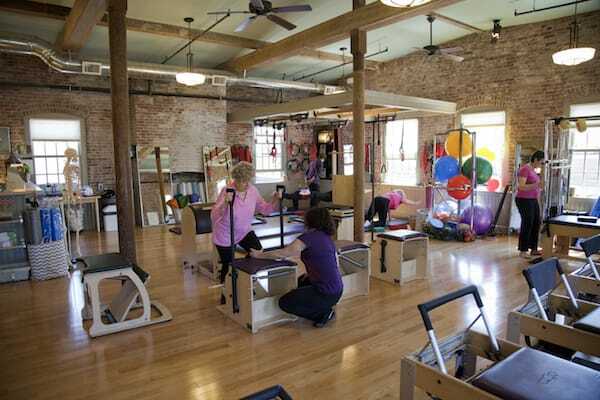 We find that when developing a Pilates practice for better overall health beginning with Private lessons works best. I already have experience with the Pilates Method, do you still recommend beginning with Private lessons? Already have experience with Pilates, wonderful! We do still recommend beginning with private lessons especially when trying to improve performance in Athletics. Even the most advanced students find that periodic privates help to keep their work relevant. During your initial assessment, you will establish an action plan with your instructor that may include adding other program options sooner. What if I am dealing with chronic pain or have an injury? I do not have time for "homework." Do I have to do it? When adding Pilates to improve performance in athletics, a daily practice is essential for creating real and lasting change. Learning to do something takes time. The more time you put toward Pilates the sooner it can benefit you. We introduce exercises that are simple and can be done while brushing your teeth, sitting in traffic or doing the dishes. Change happens because of relentlessness, not from force. We encourage clients to add sets, not reps. This allows for you to progress organically without catastrophic injuries or even really inconvenient ones. Are privates my only option? No, but privates are a necessary start. After developing a foundation, periodic privates help keep your work relevant. Our goal is to empower you and help you develop better movement skills that can be taken into every part of your life. At EBP we strive to help you build independence in the studio. Our programming is as versatile as our clients are. Click below to learn more about our program options. Click below to schedule an assessment right online. Interested in more information? Please fill out your contact information on this page and a team member will get in touch shortly!